We pride ourselves on our short lead times, which are made possible by holding large stocks and manufacturing here in the UK. For customers who need their order extra quick we offer our Fast Track Ordering service. With this service you are able to jump the queues and get your job put straight through to the factory. Please ensure you have read all the terms and conditions of fast track ordering before you decide to take advantage of this service. Details are given below of the products we are able to process with our Fast Track Ordering service. The lead times stated on this page are for manufacturing times only and do not include survey or installation. Lead Time: Manufactured in 48hrs from customer sign-off, collection only (Excludes Weekends). Colours: Standard White (Gloss) and Matt Grey (Not Textured). Glazing: Unglazed or standard sealed units. Hardware: Standard hardware in standard colour finishes (ask for details). Slim-line: Slim-line doors cannot be Fast Track 48 ordered. Blinds: Doors with integrated blinds cannot be Fast Track 48 ordered. Cost: £250 + VAT per bifold. Please note: Our lead times above do not include our survey and fixing service. Systems: Continental Folding Doors, Durafold 1000 Bi-folding Doors, Emperor Concealed Hinge Bifold Doors (please note: Slim-line cannot be Fast Tracked). Lead Time: Delivered in 5-7 working days from customer sign-off. Slim-line: Slim-line doors cannot be Fast Track ordered. Blinds: Doors with integrated blinds cannot be Fast Track Ordered. Cost (up to 4 panels): £100 + VAT per bifold. Cost (5 + panels): £150 + VAT per bifold. Systems: Economy Odd Leg, Slim-line Equal Leg, Luxury Subframe & Heavy Duty. Lead Time: Delivered within 7 working days from signoff to our standard delivery area. Styles: All styles except balanced vertical sliders and tilt back vertical sliders. Cost: £20 + VAT per unit, with a minimum charge of £100 + VAT. Systems: Ali 47 Windows, Ali 47 Doors, Premium Aluminium Windows, Premium Plus Windows, Premium Plus Aluminium Doors and our Heritage Windows & Doors. Styles: All styles; excluding curved and shaped windows and doors. Cost: Subject to 10% surcharge, with a minimum charge of £100 + VAT. All Fast Track orders must be approved and actual lead times confirmed with our Production department. Lead times here are indicative but can vary. The payment for all fast track orders is required in full, before they can be processed. All Fast Track costs are in addition to product and delivery costs. We endeavor to offer our Fast Track service at all times, however there may be periods when we are unable to accommodate Fast Track orders. 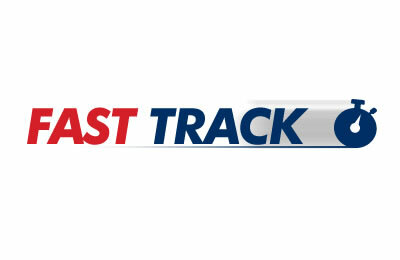 Please be sure to check availability of our fast track service for your desired product, before ordering.